The TS808HW Tube Screamer is the ultimate edition of one of the most heralded distortion/overdrive pedals of all time! The original TS808 was key to the signature tone of legendary blues guitarist Stevie Ray Vaughan as well as countless other musicians, and the TS808HW packs the same glorious tube-inspired saturation that propelled the Tube Screamer to legendary status - and then some! This limited-edition version is handwired on turret boards for premium sound and is limited to just 100 units per month (50 in the US). Order your TS808HW today! 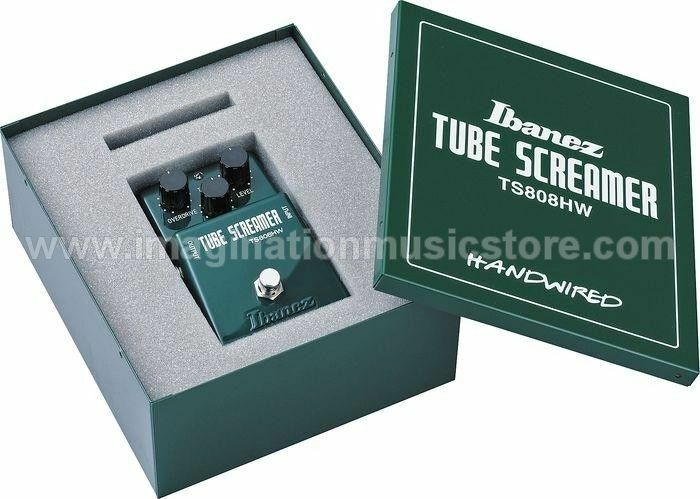 The Ibanez TS808HW Tube Screamer is an extremely limited-run handwired reissue of a true classic!